Manufactured from food grade non-stick flexible silicone rubber. 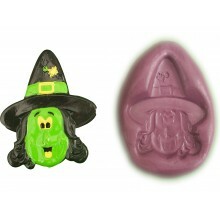 These moulds do not require the use of any release agent before use. Suitable for various materials. The Silicone is soft and pliable and possesses inherently good release properties, making de-moulding essentially trouble free. Moulds are very durable so can be used and re-used many times and washed with warm soapy water like any other kitchen implement. The picture shows the mould itself; together with an example of what can be produced (These are shown for illustration only and are not included in the sale). To give an idea of size, the impressions are next to a ruler in millimetres. Food and Skin Safe Superior Silicone. Platinum cured silicone mould making system producing highly flexible moulds. Works beautifully with the following modelling materials: Sugarpaste, flower paste, modelling paste, fondant, marzipan, cold porcelain salt dough, fimo, sculpey, polymer clay, ice, soap, resins, low temperature melt metal alloys, air dry clays, plaster of paris, wax, polymer clay, chocolate, isomalt and melted embossing powders. Certified skin safe and food grade silicone. Can be baked at up to 150 ͦC / 300 ͦF constant temperature. 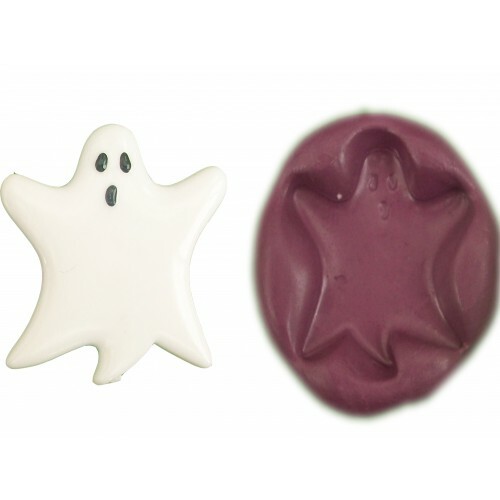 No prior experience is required to use these moulds, simply fill and de-mould as detailed. Excellent definition on the moulds. Heat range, up to 150 ͦC / 300 ͦF constant temperature. Self-releasing, no release agent required for most applications. Place your chosen modelling material into the mould. Remove any excess modelling material. Allow sufficient time for you modelling material to set. Gently flex and squeeze the sides of the mould to aid removal. Free 2nd class postage within the UK. 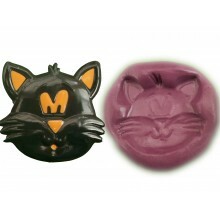 The picture shows the mould, together with an example of what can be produced. 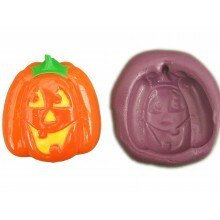 These are shown for illustration only and only the mould is included in the sale, not the additional item shown.